ENTER ON WEST END OF AIRPORT (SOMEONE WILL LET YOU IN AT THE GATE). CALL 360-773-5625 or 971-235-3804 IF YOU NEED HELP OR DIRECTIONS. $5.00 per person entry fee to cover the cost of food and refreshments we will supply - Burgers, hotdogs, chips & drink – donuts/coffee too. lots of soft serve ice cream and popcorn so don’t bring too much desserts. Unless it can be smothered in Ice Cream! DIRECTIONS: From I-5, exit Mill Plain Blvd then East bound to East Reserve St, turn right follow signs to airport parking lot & proceed to gate at East end. There will be someone from Corsa Oregon at the gate to let you in. From Highway 14 West bound, Exit 1 then west bound, turn left to Grand Blvd, North on Grand Blvd past Fred Meyer to 5th Street at bottom of hill, left on 5th Street to East Reserve St then left to airport, follow signs to airport parking lot & proceed to gate at East End. There will be someone from Corsa Oregon at the gate to let you in. Open to all CORSA members and guests. Edited 5 time(s). Last edit at 09/29/2018 08:34PM by MattNall. If you are even Half-way close to PDX, this is a "MUST DO" event ! ! ! 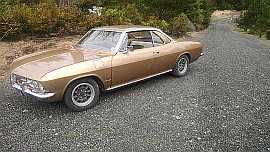 CORSA Oregon's Corvair College" is NEVER a let down. If you don't have a lot of FUN, it is your own fault. 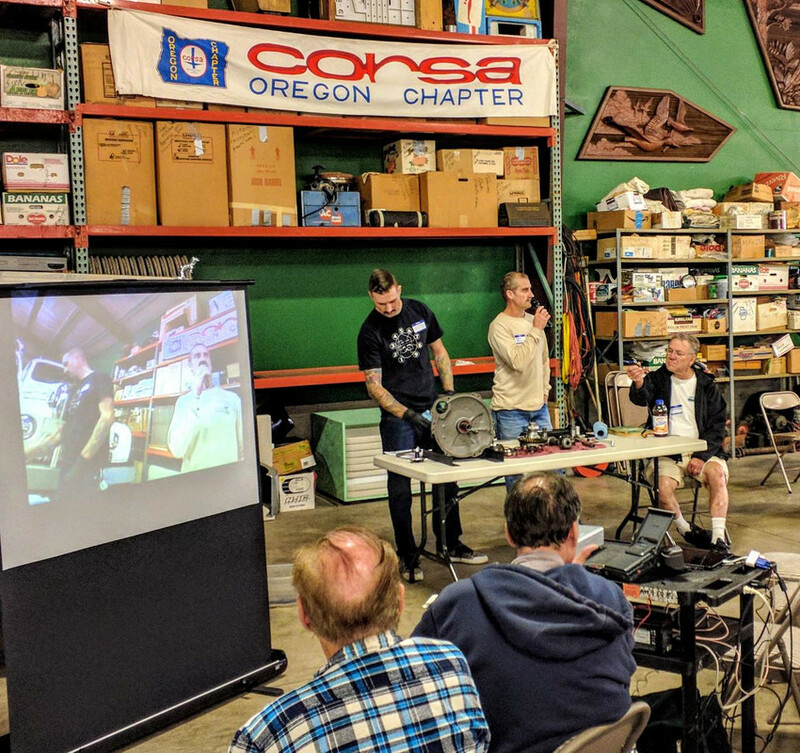 CORSA Oregon, an incredible group of AWESOME people ! ! ! Thursday and Friday (Sept 27th and 28th) I will be open at the McMinnville shop for a pre-moving clearance sale. All new parts will be for sale (at special prices) and a lot of other stuff will be available just for the asking. Our house has apparently sold (we'll sign this afternoon) and in a month or so we'll be thinking about where to move the shop. I want to move as little as possible. Come on by and get some great stuff. Great Weather!! Great Turnout... Great Sights Presentations and FOOD. Sadly, coming back from dinner.... lost my phone! 5 years.... was my friend! 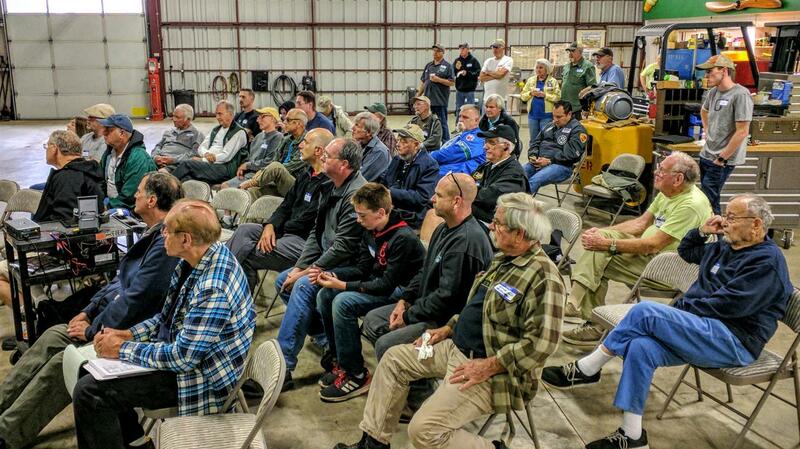 As usual, a great turn-out at the Corsa Oregon Corvair College. 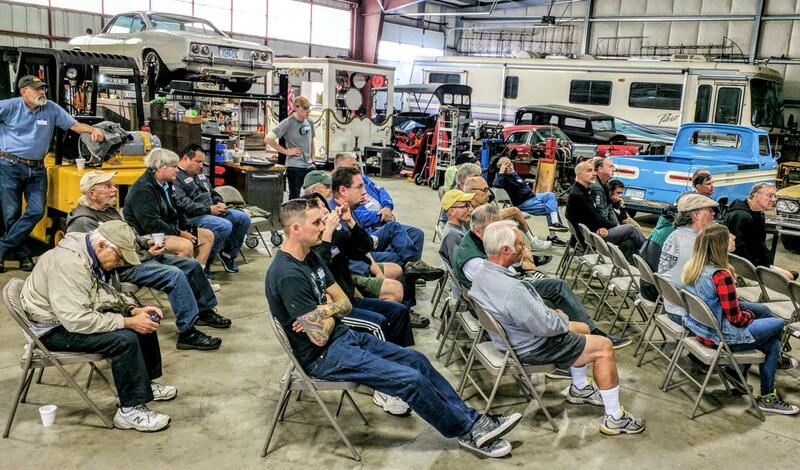 We saw presentations on bodywork and painting, Nate Wolfe on Differential rebuild/set-up and a travelogue of Rex Johnson's family trip/tribulations!. Regan Metcalf, Corsa Oregon president this year, was our m/c & grill chef cooking great Bratwurst and Burgers to perfection. No one went home hungry! Folks brought plenty of side-dishes and snacks along with our hosts Sharon's famous Popcorn and Paul's delicious soft-serve ice cream. The ladies even made nice floral table centerpieces for the lunch break. What a great event! I brought a copy of Dave Newell's very limited release book "the (in)Compleat Corvair Story" and offered it to anyone who would make a substantial donation to our Corvair Preservation Foundation (CPF) ~ Steve Brown, Corsa Oregon Membership director & Corvanatics new president stepped up and is donating $100. The 2019 NW Corvair Econo-Run location was announced at the College. Everyone is invited next April 25,26,27 2019 to Leavenworth, WA. 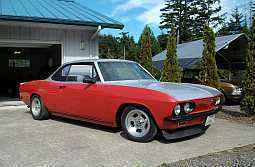 The Econo-Run will be hosted by Inland Northwest Corvair Club of Spokane/Coeur d'Alene. The more central location of Leavenworth will make participation by all the NW clubs easier, not to mention, it's a beautiful place! Looking forward to many more great NorthWest Region Corvair events in 2019! > Sadly, coming back from dinner.... lost my phone! 5 years....was my friend! Plugged it in this afternoon.... comes alive..says "droid" and buzzes... PC doesn't regognize it... oh well.... I was due a new phone from Verizon... and the Motorola Moto G6 is 5g...new so much for "free"... $10 "activation fee"
> phone! 5 years....was my friend! Glad you found it. Sorry about your friend. Last year my wife dropped her flip-phone in our driveway without realizing it. I went out 6 hours later and found it, with fresh tire tread marks over it. Surprisingly, it still worked although the screen was permanently black (unlit). No cracks though. We took it to the local Verizon store, and they replaced it for free! As long as the screen was not broken, they covered it; just had to send the old one back. AHH good ole "basic phones"